No Equal Justice is the seminal work on race- and class-based double standards in criminal justice. Hailed as a “shocking and necessary book” by The Economist, it has become the standard reference point for anyone trying to understand the fundamental inequalities in the American legal system. The book, written by constitutional law scholar and civil liberties advocate David Cole, was named the best nonfiction book of 1999 by the Boston Book Review and the best book on an issue of national policy by the American Political Science Association. 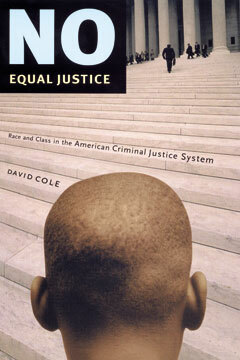 No Equal Justice examines subjects ranging from police behavior and jury selection to sentencing, and argues that our system does not merely fail to live up to the promise of equality, but actively requires double standards to operate. Such disparities,Cole argues, allow the privileged to enjoy constitutional protections from police power without paying the costs associated with extending those protections across the board to minorities and the poor.